1893 Indian Head cents are common coins in the numismatic sense and are readily available in mixed-date bags and rolls of common pennies from that era. While 1893 pennies are virtually impossible to find in circulation these days, they are nevertheless found with relative ease at nearly any coin shop that deals with U.S. coinage. 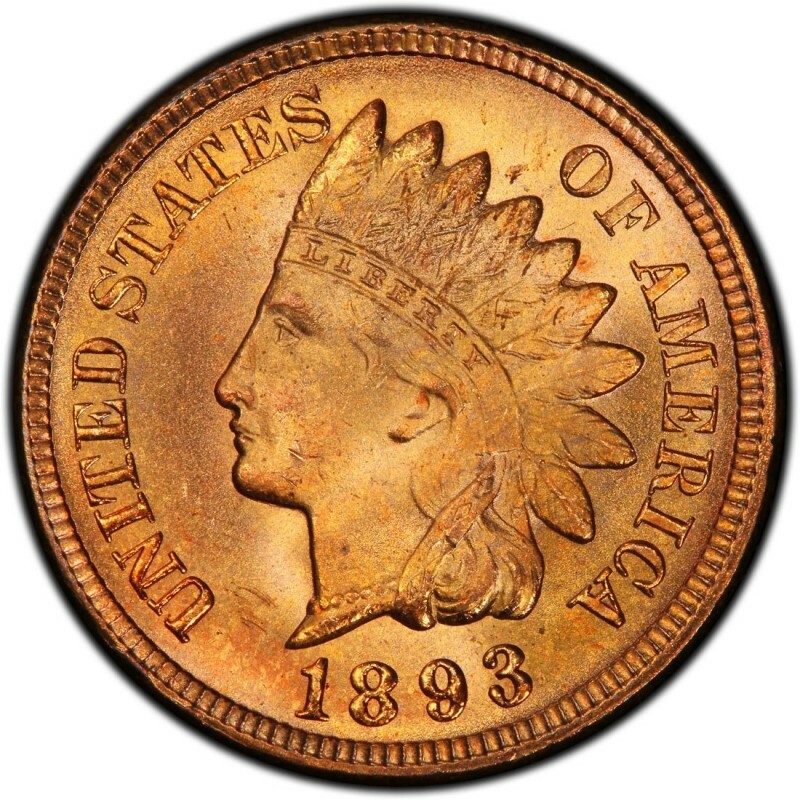 1893 Indian Head cents are commonly sought by collectors interested in the series as well as those who are building type coin sets. Many people from outside the numismatic community also pursue these common Indian Head pennies, as many want to own an example of this classic American coin. 1893 Indian Head cents were made in large numbers. 46,642,195 pennies were made in 1893 as business strikes for commerce purposes. Examples of those in a grade of Good-4 will set the collector back by $2. Proof specimens were made in the much smaller quantity of 2,195 pieces. These retail for $1,250. 1893 Indian Head pennies were designed by James B. Longacre, who served as the Chief Engraver of the United States Mint from 1844 until his death in 1869. 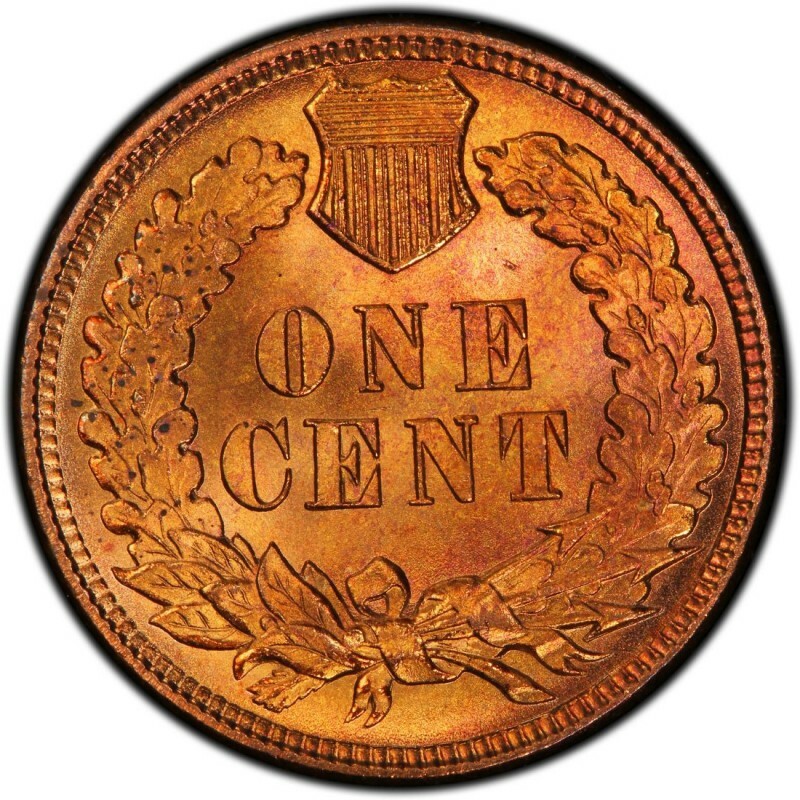 In addition to designing the Indian Head penny in 1859, he also designed the two-cent piece. In 1864, that became the first U.S. coin to bear the motto IN GOD WE TRUST.